It is safe to say that roasted fish is a staple "food" consumed in Abuja as well as other major cities in Nigeria. 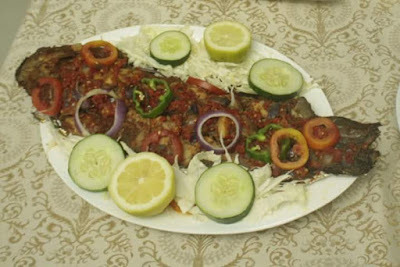 There are two major fish types used for roasted fish in Abuja- croaker and cat fish. fried potatoes, roasted or fried plantain, yam, sweet potato etc. - where is the place in Abuja where you have had your best serving of fish? - what did you have it with? Want to put a story, advert or your event on our platform call/whatsapp 08023515544 now.